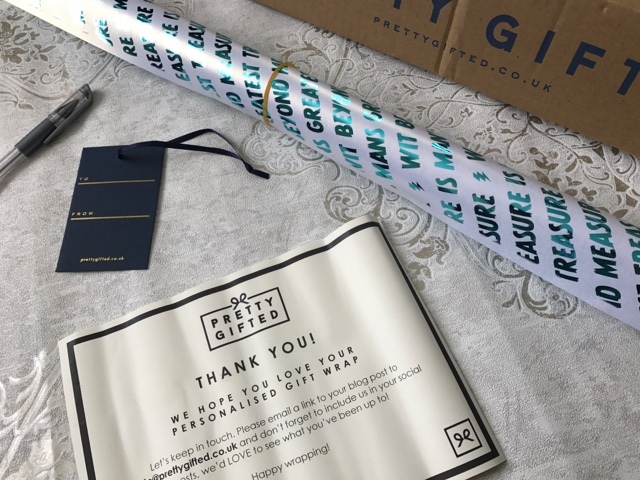 I've said it before and I'll say it again, I am a sucker for all things personalised and that even includes the wrapping paper and that's just what Pretty Gifted have delivered to me this week, personalised gift wrap! "Make what's on the outside as individual as what's on the inside." 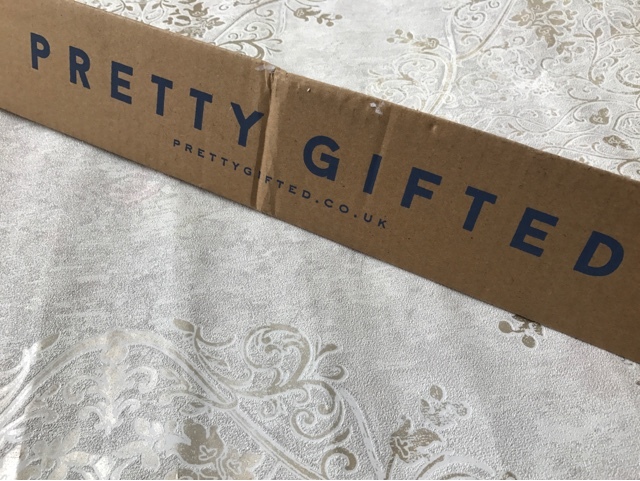 Pretty Gifted are a company that are experienced in paper and printing and what they aim to give to you is quality wrapping using the finest papers and metallic foil finishes. And not only that, they want to make this bespoke wrapping paper completely affordable. To order is easy. 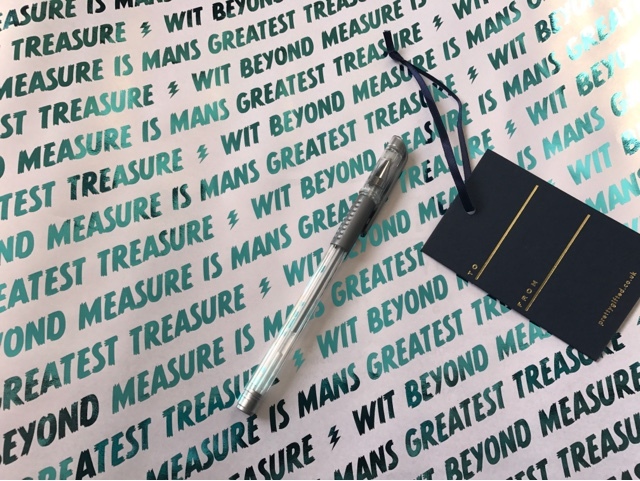 Simply pick your paper in the colour you want from the range they have, then choose the font and what you'd like written and then pick the colour of the foil that your message will be written in. When picking the font you can choose the sizing, either small, medium or large depending on how long your message is and there is even an option to add in an icon from a select few to break up the wording. If you are a Harry Potter fan then you probably got it in an instant. Elise is a die hard and proclaims to be in house Ravenclaw so the quote is do with that, well at least I hope it is because I'm no fan but Google normally has all the right answers doesn't it. When your extraordinary gift wrap arrives, it comes complete with a gift tag and a metallic pen ready to write on the tag. A lovely added touch. One sheet of 70cm x 50cm wrapping will cost you £7.95, ok not the cheapest but when it is personal I don't think the cost comes into it. Over all I really like the concept of Pretty Gifted and the finished product really is well made, they certainly have an eye for detail. I guess my only real complaint is the lack of colour choices, hopefully as the company grows so will the selection of paper and foil choices.